Thank you so much to everyone who came to the ‘5 Florists, 5 Designs’ event at The Garden Museum in London last night! It was lovely to see and meet so many people. And the feedback has been wonderful! The event was sold out, so if you were unable to attend, I’m delighted to say that there will be a video by The Garden Museum coming out shortly. Many thanks to Liz Anderson, New Covent Garden Flower Market and Ben and his team at The Garden Museum for organising such a very special evening to celebrate British Flowers Week. And of course, a huge thanks to the five florists for taking part. They’ve all been featured in my daily blog posts this week on Flowerona – Zita Elze, Hattie Fox, Stephen Wicks, Jay Archer and today’s florist Charlotte Slade of Jane Packer Flowers. It’s the final day of British Flowers Week and I’m delighted to feature an exclusive interview with Charlotte, whose chosen bloom was the antirrhinum (snapdragon). How long have you used British flowers in your designs? 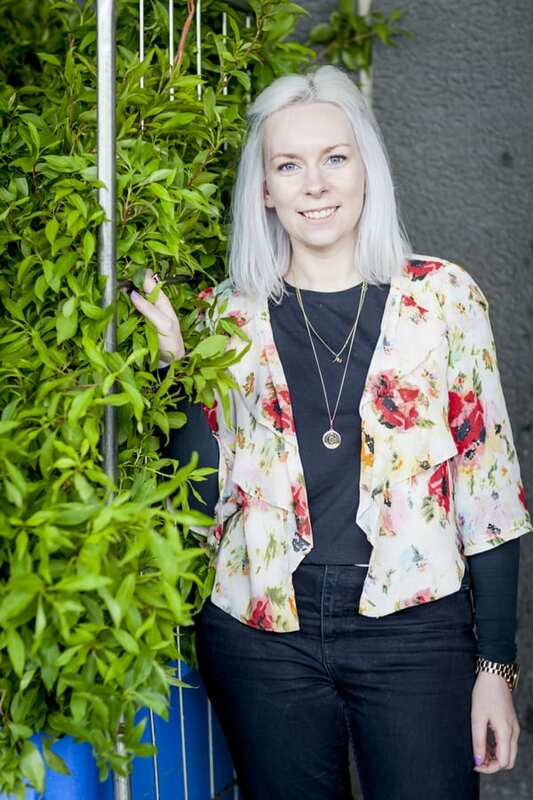 When Jane started out she always sourced British flowers whenever she could and was particularly interested in ‘garden varieties’ bringing a bit of the countryside into the city. Nowadays, we continue to use locally grown, seasonal blooms, when possible. Your chosen flower for British Flowers Week is the antirrhinum, also known as the snapdragon. What type of arrangements do you use them for? We use them a lot for weekly contract work in vase arrangements, as they’re long-lasting and come in great range of colours. Could you tell use about the three designs which you’ve created exclusively for British Flowers Week 2015? 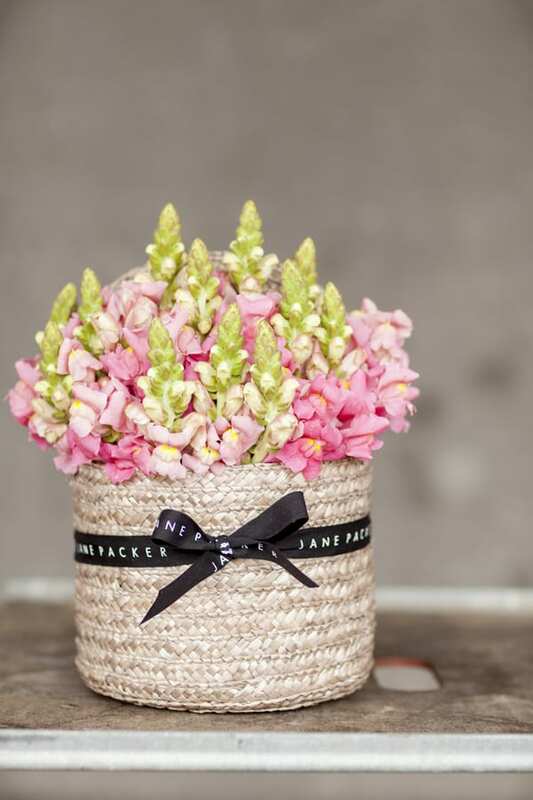 We’ve made a signature Jane Packer hatbox which is perfect as a gift, a wired dome bridal bouquet and a tablecentre with antirrhinums in complementary colours. Apart from antirrhinums, which other British flowers are your favourites? We love dahlias and source them from Alagar at New Covent Garden Flower Market. They’re a good all-rounder and versatile flower. With their wonderful textures, you can use them on their own to appreciate their beauty. Or they’re good to mix with other flowers when you’re making a bouquet. During the autumn months, in particular, they’re perfect for adding a real splash of colour to a design. British flowers are a florist’s dream! Because of their limited availability, you’re always guaranteed that they’re going to be the best flower for a limited space of time. However, you have to be very flexible as due to the weather. You can’t guarantee getting hold of specific varieties at any given set time. Not generally, but they do ask for seasonal flowers, in which case we use British blooms. We love to educate our customers and explain the differences between British and imported flowers. For example, in some cases, the flower heads can be larger on homegrown flowers. 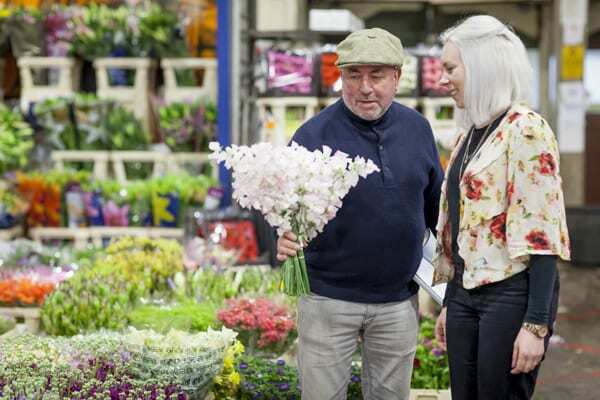 Could you tell us about the bouquet which you’re selling during British Flowers Week? It’s a vase, brimming full of beautiful British antirrhinums, which we’ve sourced from Pratley at New Covent Garden Flower Market. And you’ll be able to order it from the Jane Packer Delivered website. Apart from being featuring on the BFW website and taking part in the event at the Garden Museum, do you have any other plans for BFW? Yes, we’ve dressed the windows of our London flagship store in New Cavendish Street and at our store within John Lewis in Oxford Street in celebration of British Flowers Week. Do check out the new British Flowers Week website for three blog posts featuring Charlotte and antirrhinums.